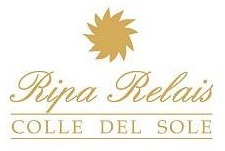 The Relais Ripa is located near Ripa's ancient castle, just in front of Assisi. It is the ideal place where you can relax and regenerate yourself, in contact with the most unspoiled nature, and far from the daily routine of frenetic life. 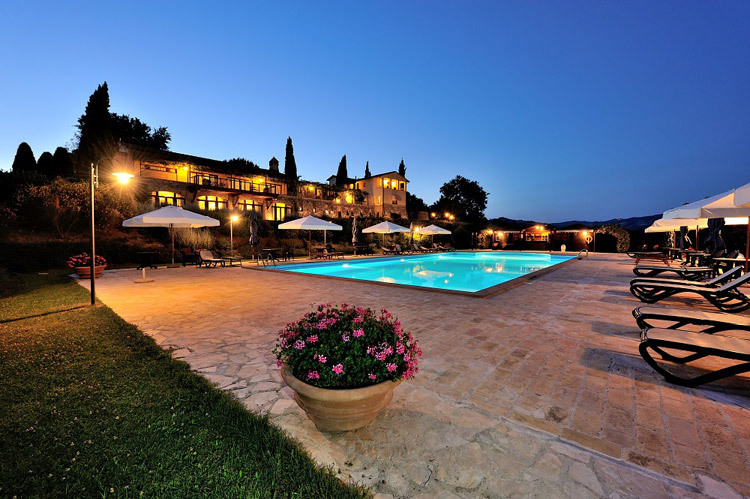 The Relais is at only few minutes by car from the most beautiful art cities of Umbria (Perugia, Gubbio, Montefalco, Spoleto, Todi...) and Ripa is within easy reach of the wild green of Valnerina and Tiber valleys and of the silver hills of Trasimeno Lake and Tuscany. 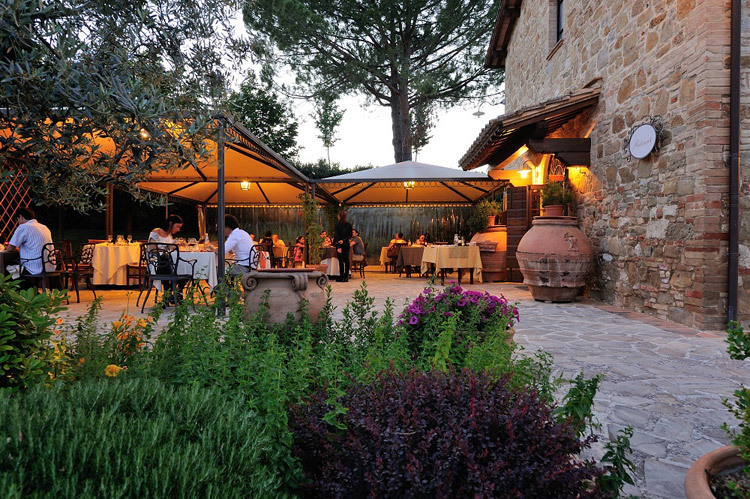 During your holiday you will experience the old traditions both cultural and eno-gastronomic of Italy's green heart. 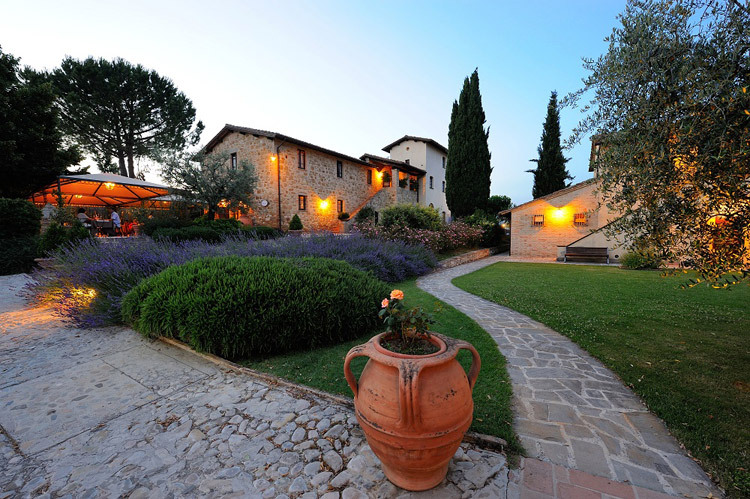 The sixteen rooms are placed in three old farmhouses carefully restored with the intent of preserving the essence and charm of ancient times. 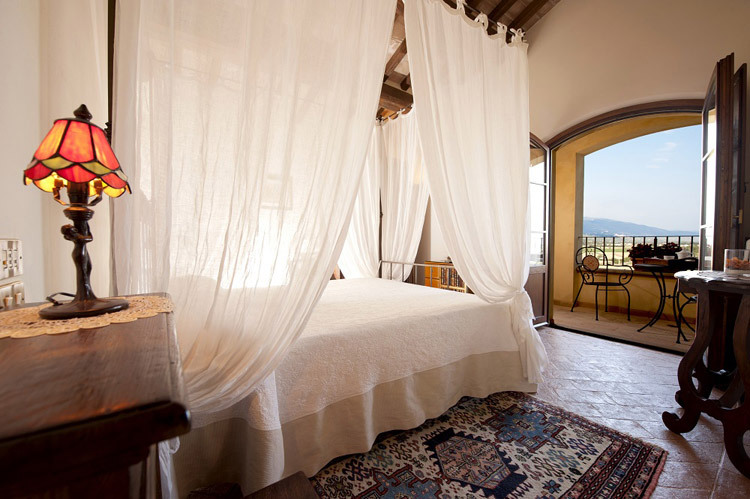 The rooms stand out for the attention that has been paid to all the details: you can see the wooden beams, the typical beds made with wrought iron, the hotel's furniture that includes old unique pieces made by hand with the better wood, quilts and curtains that comes from the art of embroidery the precious old Umbrian cloth of Montefalco. 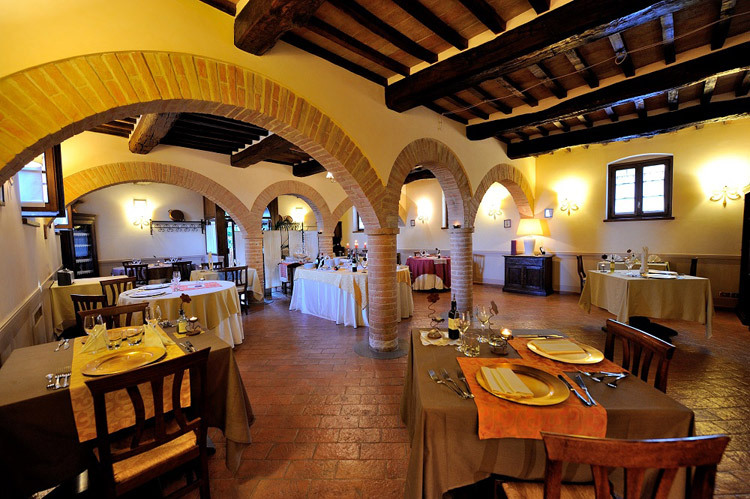 Inside the beautiful ancient temple, that today has became our restaurant, the chefs will make you experience the best of Umbrian-Tuscan tradicional dishes, and their tasty recipes joined to the famous wines of our Country.Bread, pasta, cakes and jams are made by hands every day, as the old customs taught us during the years. Meat and oil come from our own farm, situated just 1 km from us. Take the E45 direction Cesena or Rome (depending if you are arriving from north or south). Continue to Ancona direction and exit Petrignano-Assisi; then follow signs to our Relais. Only restaurant from 7 January to 12 February .